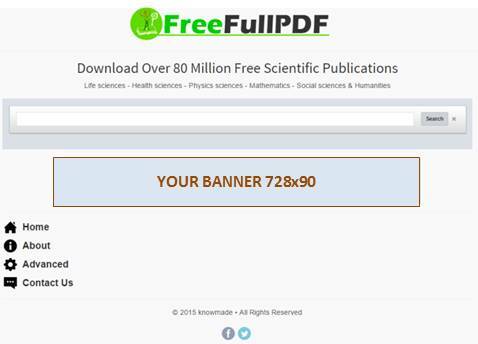 Your banner linking your company website on the FreeFullPDF.com homepage and on all result pages! Over 600.000 page views and over 130.000 visitors per month. Avg. Visit Duration: 5 min. The majority of users are researchers, engineers, technicians, teachers and students originating from over 150 countries (Europe, US, Asia …). Moreover, you may advertise via Google AdWords (just use the site targeting function to select freefullpdf.com)! Please use the contact form to inquire about the advertising program, and once approved an invoice will be sent in return containing the payment information.